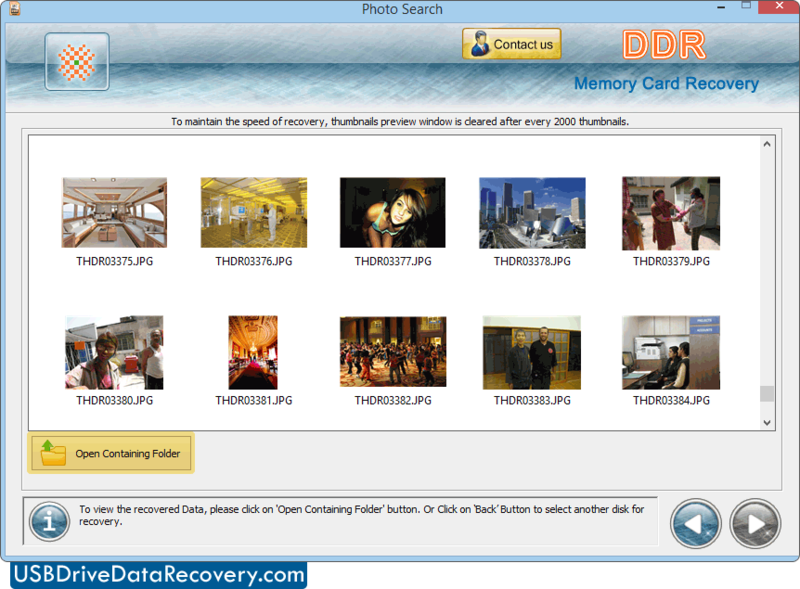 Browse destination path to save recovered data by DDR - Memory Card Recovery. Currently performing searching process by 'DDR Thorough Scanning Algorithm'. You can stop scanning process by clicking on 'Stop' button. 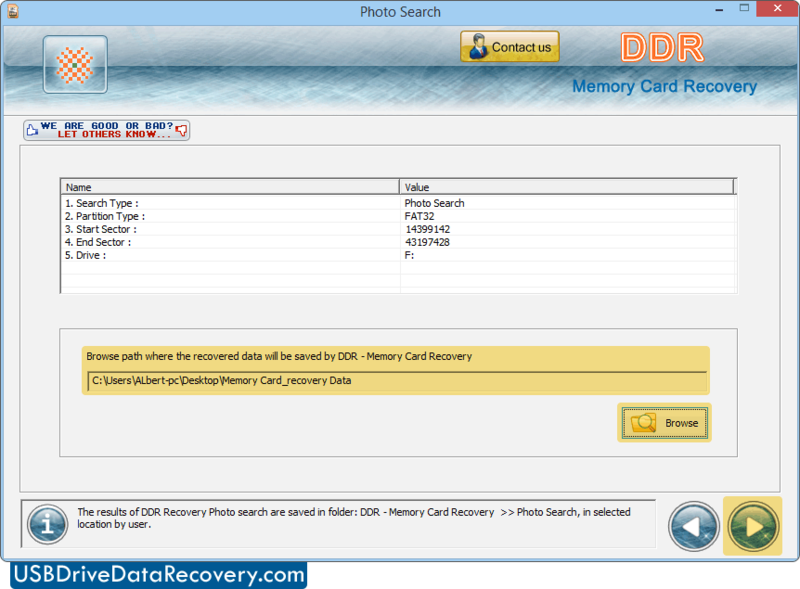 Here you can see that data has been recovered successfully. 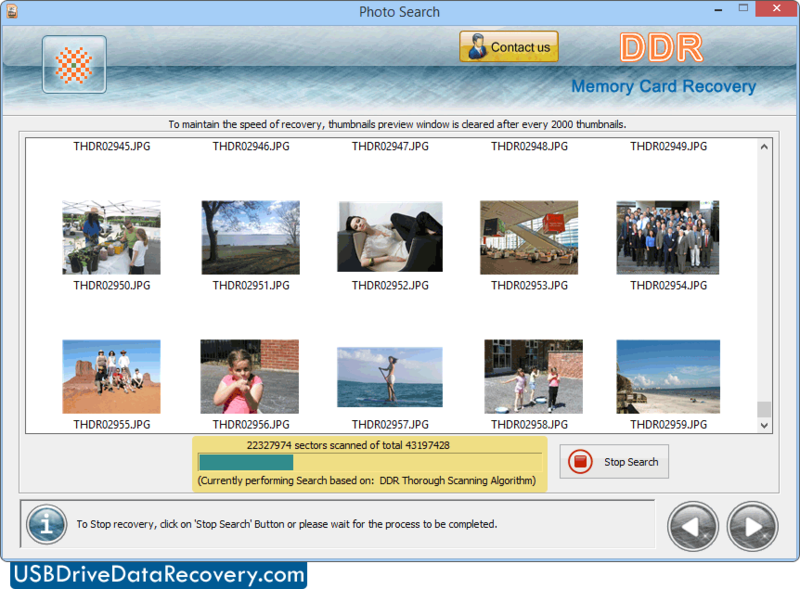 Click on "Open Containing Folder" button to view the recovered data.